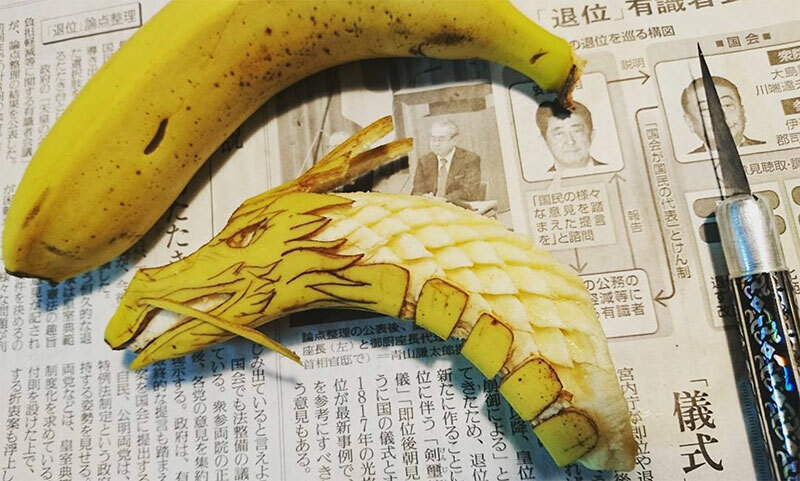 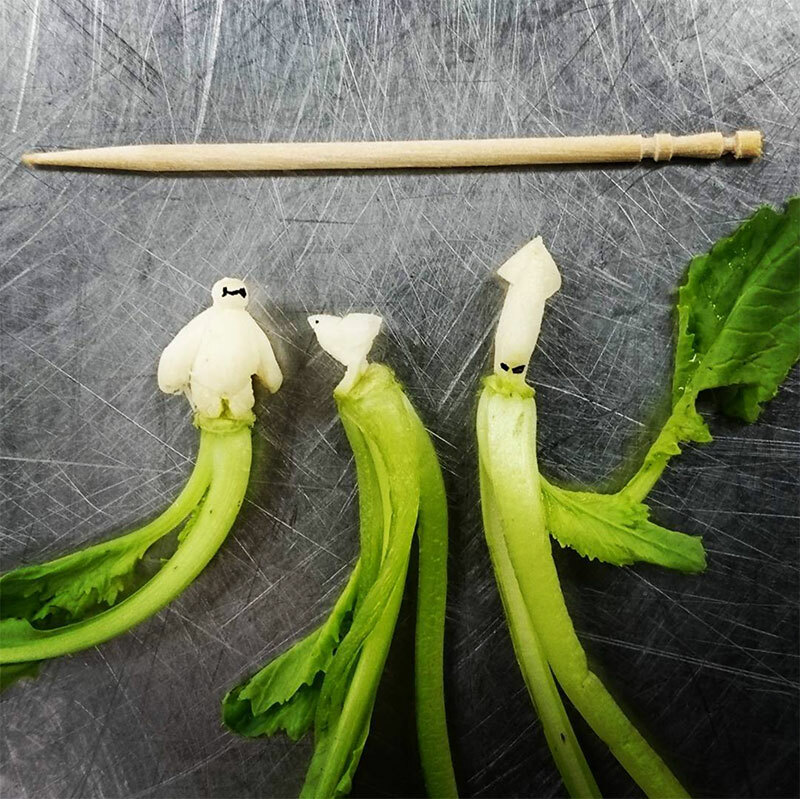 Intricate fruit and vegetable carvings by Japanese artist Gaku. 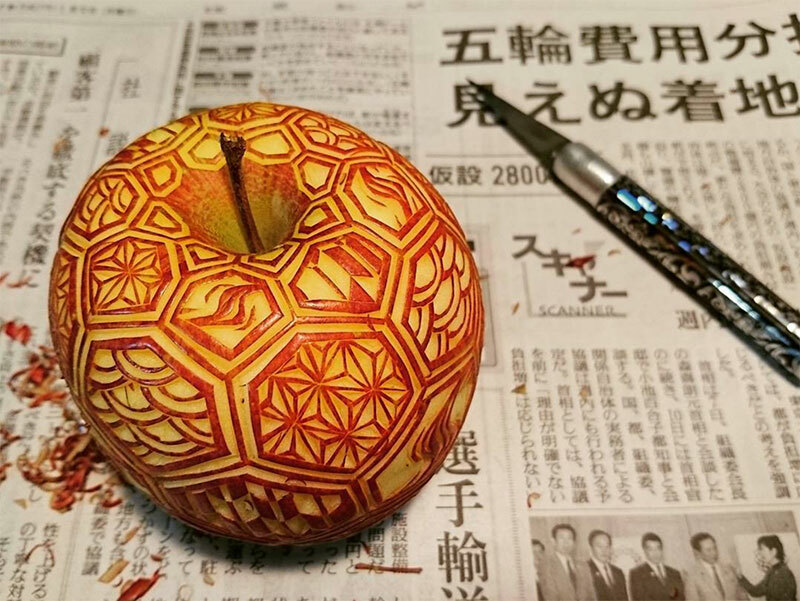 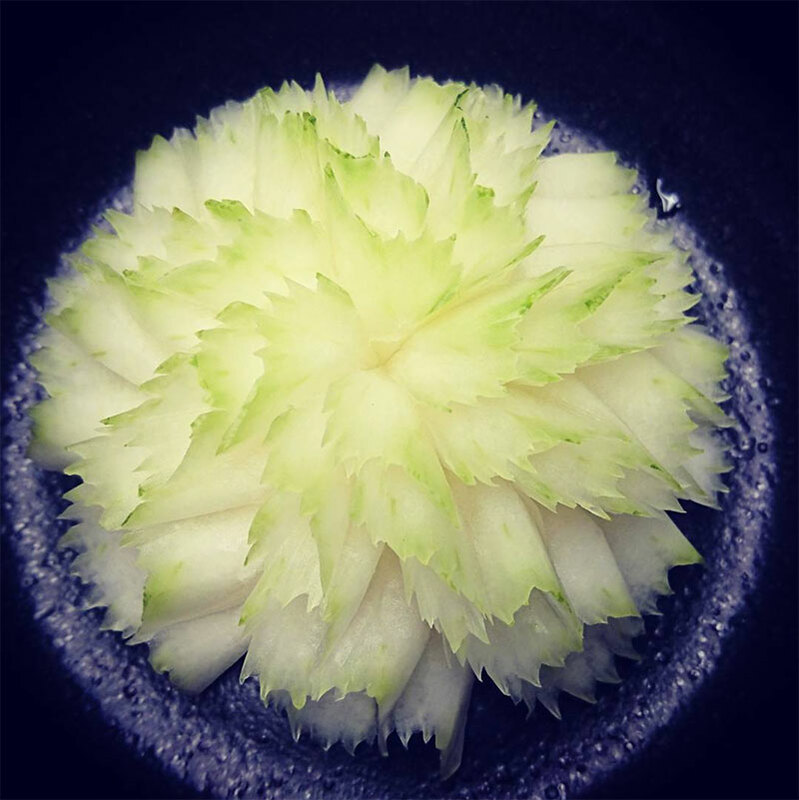 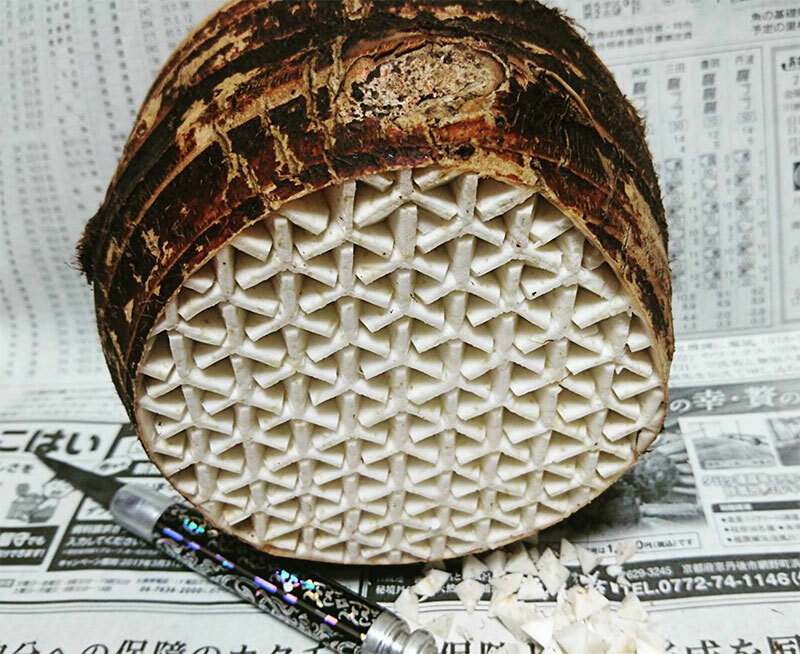 This type of food carving is popular in fancy restaurants in China and Japan but Gaku takes it to another level. 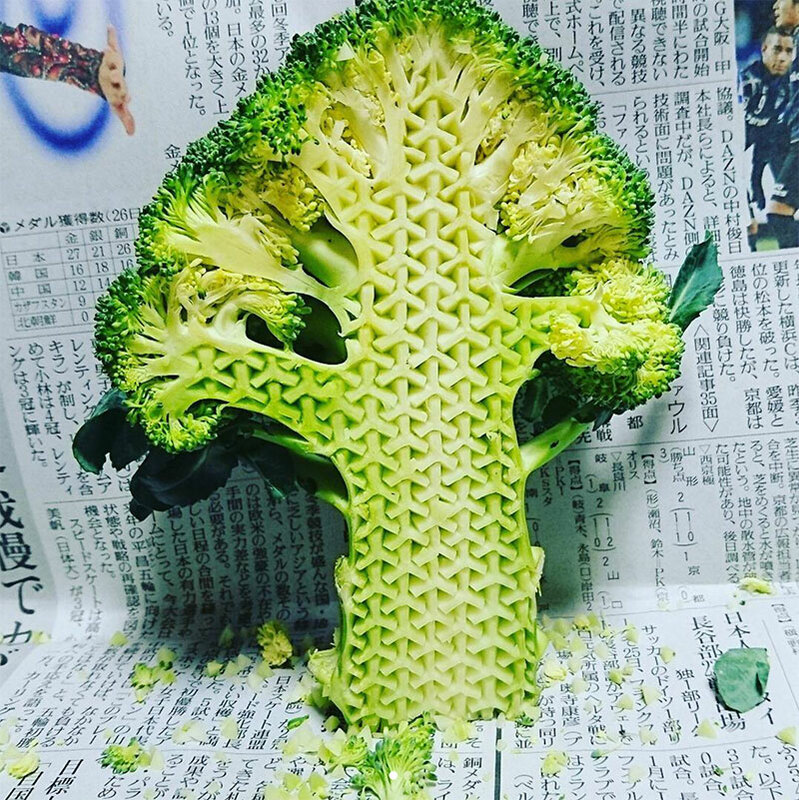 The lattice patterns he carves on broccoli, apples, carrots etc. 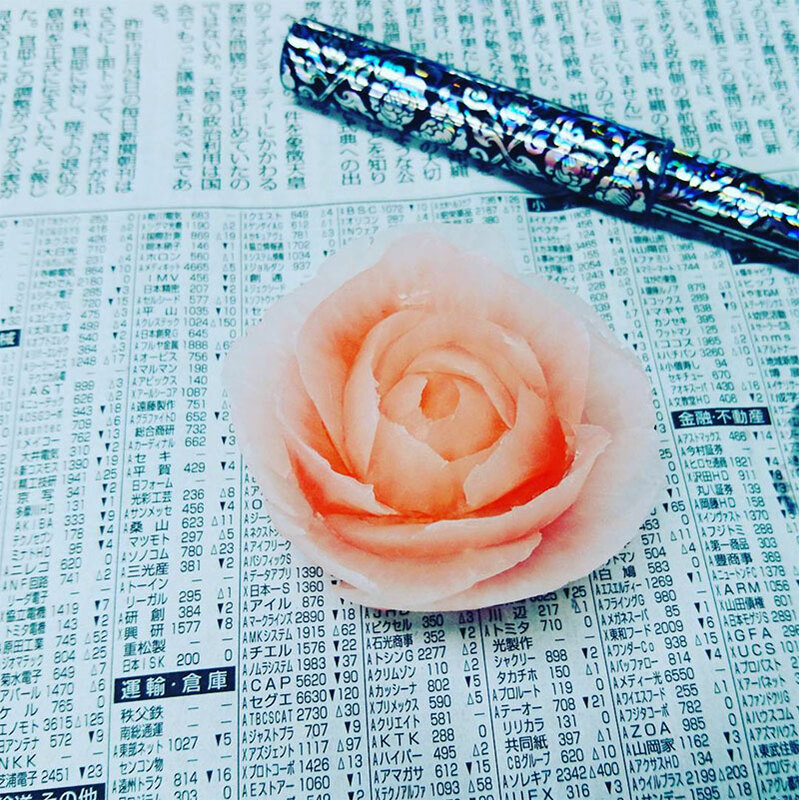 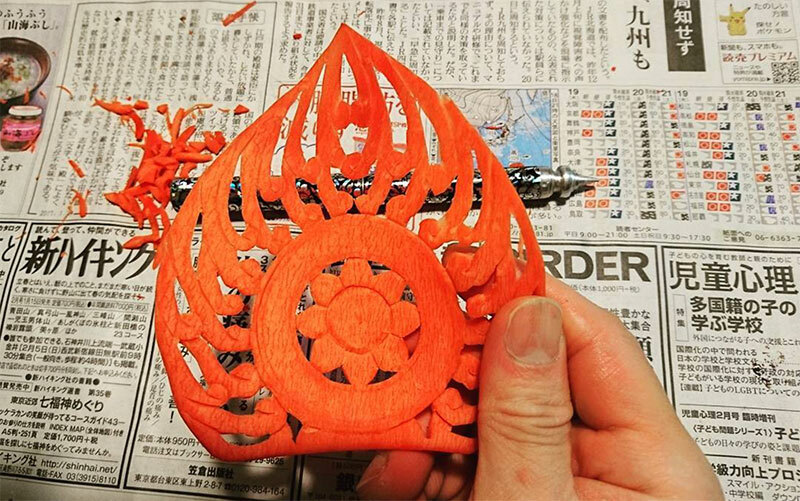 using a tool similar to an x-acto knife are inspired by traditional Japanese motifs and you have to have a steady hand to do this type of work. 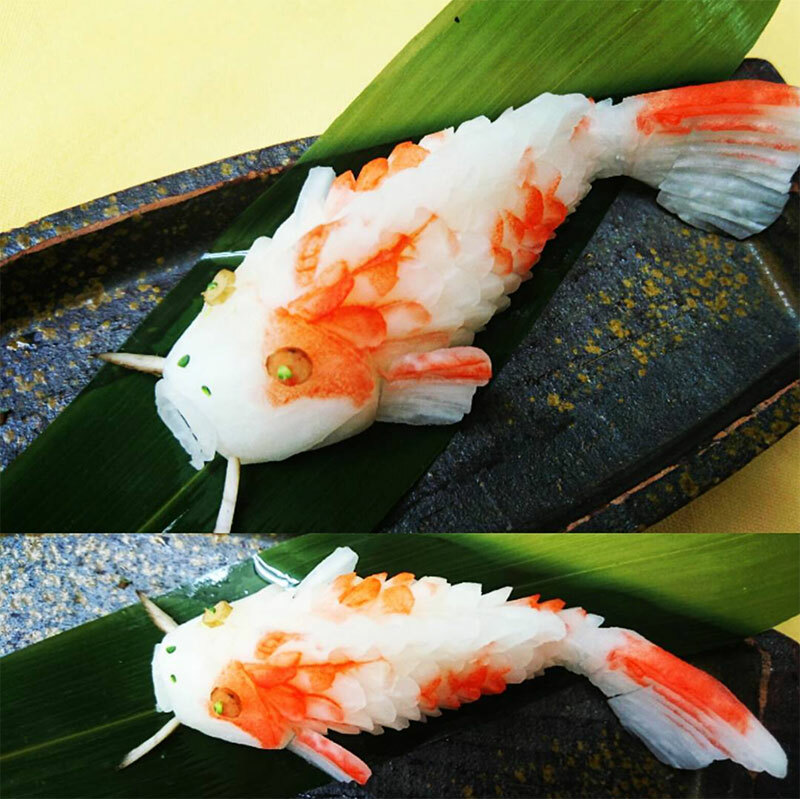 Then again, if you make a mistake, you can always eat the food item. 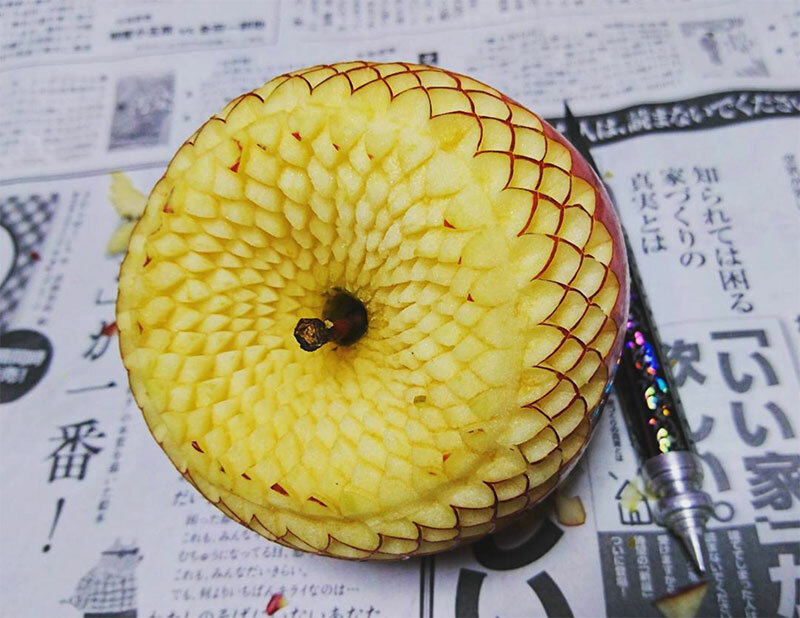 One constraint of doing this type of carving is you have to work fast as a fruit or vegetable starts to oxidize once the peel is removed. 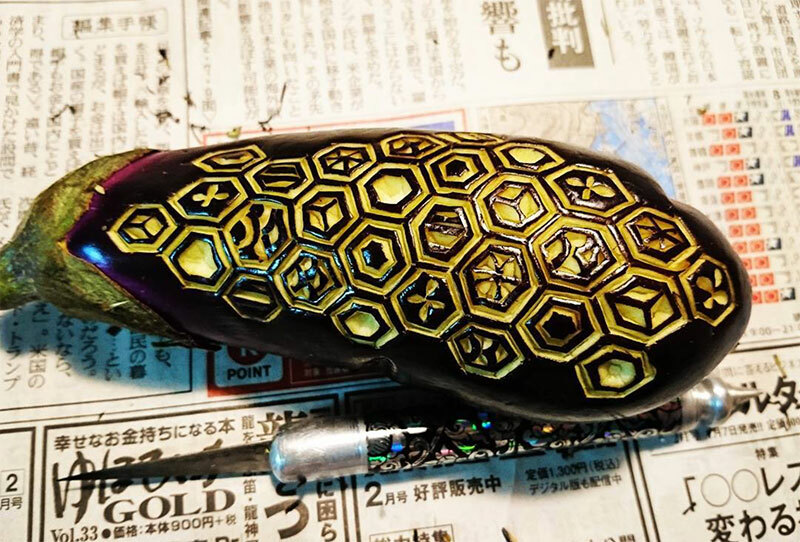 See more of Gaku’s work on Instagram. 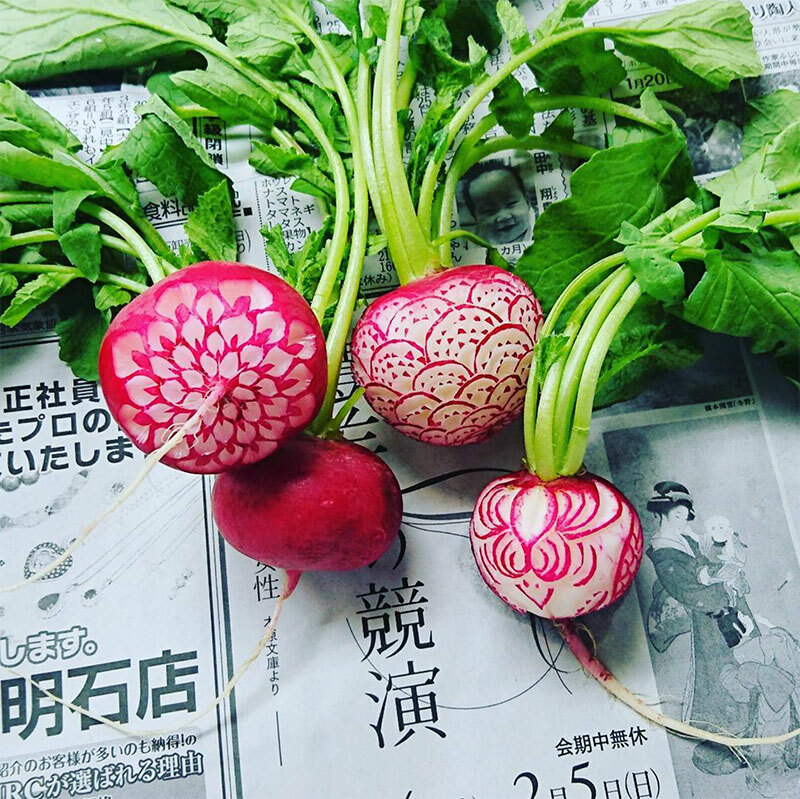 Intricate fruit and vegetable carvings by Japanese artist Gaku.